B.Sc. (Clinical Sci. ), M.H.Sc. (Osteopathy), B.App.Sc (Human Movement). 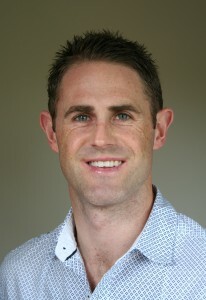 David grew up in Coburg and Strathmore and attended Strathmore Secondary College. He currently resides in Strathmore. Before attaining the necessary qualifications to embark on a career as an osteopathic practitioner David completed a Bachelor of Applied Science degree in Human Movement and worked as a health & fitness consultant, personal trainer, corporate gymnasium manager and sports coach. In addition David has lectured and tutored osteopathy students at Victoria University in Exercise Physiology/Prescription, Osteopathic Science/Technique and Anatomy. Being employed in a diverse range of roles as a health and fitness professional over many years has complemented David’s career as an osteopathic healthcare provider. Before becoming Director at Pascoe Vale Osteopathy David worked as an associate osteopath in South Melbourne, Port Melbourne, Melbourne CBD and Northcote. David is compassionate and empathic which allows patients in his care to feel at ease. He communicates confidently with people of all ages and backgrounds which is one of his strongest personal attributes. David is a keen runner and has completed 11 marathons (personal best time of 2hrs 53mins). He is an ex-triathlete, has completed 6 Ironman triathlons (3.8km swim, 180km bike, 42.2km run) with a personal best time of 9hrs 31mins and twice represented Australia at the Hawaiian Ironman World Championships - in 2003 and 2006. He was the team osteopath for the Australian Capital Territory Academy of Sport cycling team between 2007-2009 when they travelled to Victoria to compete at the National Road Cycling Championships. As such, David has a particular interest in the area of sports-related injuries. His personal experience as an athlete coupled with his experience in treating and managing other athletes has proven valuable to David in his day-to-day osteopathic practice. David’s other areas of interest and expertise include treating patients in acute pain, patients with work & ergonomic-related aches and pains, headaches, postural strains, pregnancy-related pain and patients in need of exercise prescription, nutrition advice and motivation. Pascoe Vale Osteopathy provides osteopathic services to patients from a wide number of suburbs such as Pascoe Vale, Pascoe Vale South, Essendon, Essendon North, Moonee Ponds, Strathmore, Niddrie, Keilor, Coburg, Coburg North, Brunswick, Oak Park, Glenroy, Hadfield, Airport West, Travancore, Melbourne, Australia.